We treasure every opportunity to serve to carry through our belief of Customers First. We stand firm by our principles of Honesty and Trustworthiness. Honesty is from our hearts and Trustworthiness is we keep our words. 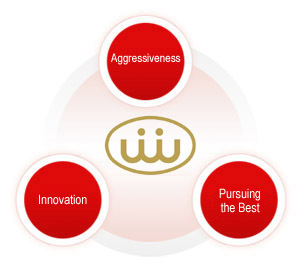 Aggressiveness, Innovation, and Pursuing the Best are our management philosophies. Facing the changes of the industrial environment and the innovations of the technologies, we believe that we can win the support and trustworthiness from our clients through firmly standing by our management philosophies. We provide full series of products to our clients. More than several hundreds of our products are certified by the international safety standards. We treat our clients with sincerest attitudes, continuously improve our product quality, develop our new products constantly, treasure every opportunity to serve and do it right from the first time and grow with our clients together.